Total ten units has established in the villages under the project during year 2011. 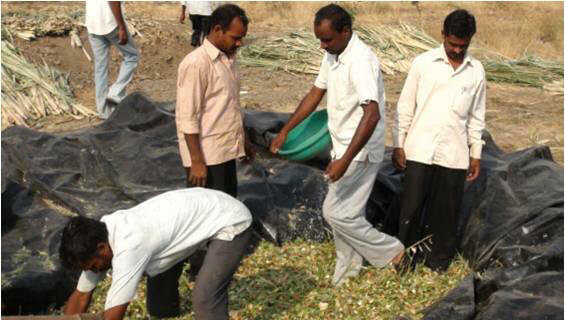 Besides technology, KVK also supplied plastic paper to the farmer for silage preparation. Size of unit is 10x5x5 ft. of having capacity 4 tones. Sugarcane tops and maize fodder were used for silage making .Silage pits filled in the month of Feb-March. After 45-60 days silage pit opened and used to dairy animal @ 10kg/day by mixing with dry fodder. One unit of silage supplied green and nutritious fodder to one animal for 5-6 months. Silage help to available green fodder during summers, animal feed dry fodder by mixing with silage and minimized the wastage of dry fodder. Similarly cost on green fodder . Even though it is proven technology ,but farmer were not adopted due to high cost of silage pit construction.Hence KVK made refinement by using plastic bags. 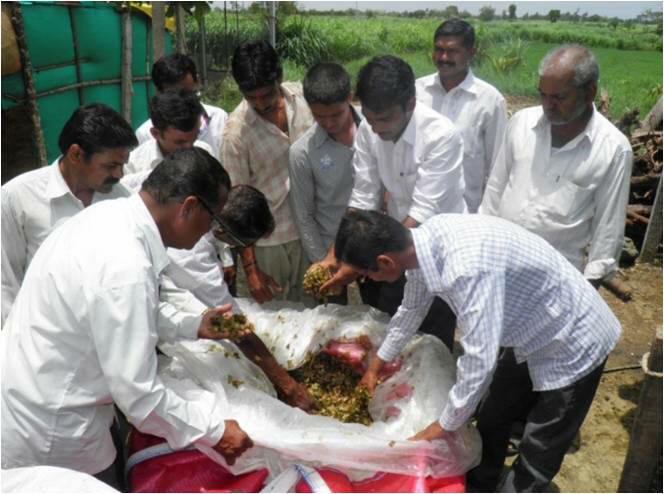 During 2012 KVK supplied plastic bags to 30 famers and got very good result. During 2013 more than 100 farmers adopted this technology with plastic bags and silo tower(Ramp). By seeing success of this technology KVK is horizontally spreading silage production on large scale.